Elastic Bracelet features Saint Benedict Medal Medals. Elastic Bracelet features Our Lady of Grace Medals. 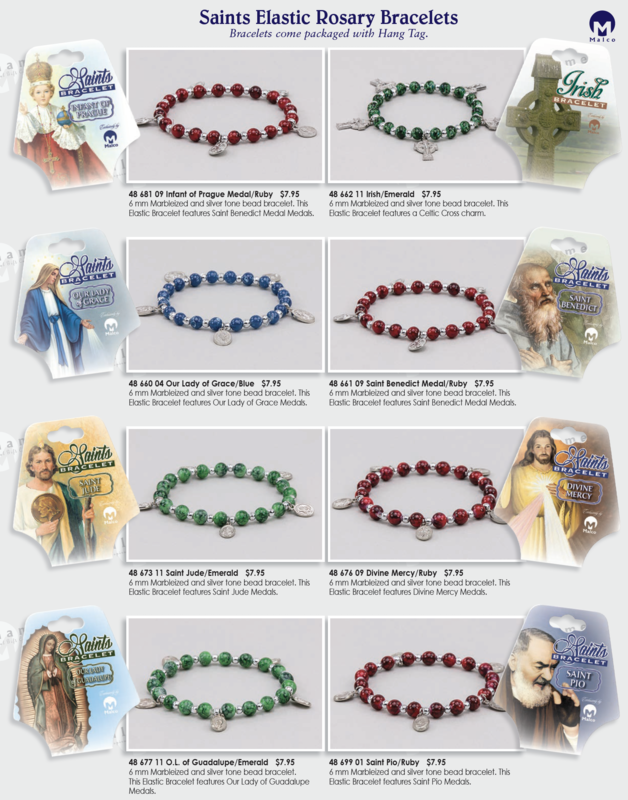 Elastic Bracelet features Divine Mercy Medals. 6 mm Marbleized and silver tone bead bracelet. Elastic Bracelet features Saint Pio Medals.